INFO: MIT researchers are experimenting with a drone powered by ionic wind (airflow induced by electrostatic forces). According to the video in the above blog post the aircraft managed to fly over 60 meters (~10 seconds flight) using this method of propulsion. 2) NASA Mars landing stream. INFO: NASA’s InSight lander is scheduled to land on Mars on 26th of November around 3PM EST (9PM CET). The landing commentary will be streamed online. The goal of InSight mission is to study Mars deep interior. 3) OpenCV 4.0 was released. INFO: After 3.5 years since 3.x release a new major version of OpenCV (Open Source Computer Vision Library) has been released. 4) Dexter - open-source 3D printed robot arm. INFO: This project received a Hackaday 2018 prize. The robot has 5 degrees of freedom (DOF) with a maximum payload capacity of 1kg. The repeatability of the robot is said to be 0.05mm. 5) Google parent to pull plug on bipedal robot development. INFO: Alphabet is dissolving Schaft, a developer of bipedal robots that Google acquired in 2013. In this IEEE Spectrum article you can learn about the Bipedal robot that Schaft showcased on a conference in Japan in 2016. 6) Stanford giving robotic hands sense of human touch. INFO: Stanford Engineers developed a sensor capable of measuring intensity and direction of pressure as well as heat. This allow the manipulator to handle such delicate tasks as moving a ping-pong ball or touching a raspberry without squashing it. 7) Remotion - A Motion-Based Capture and Replay Platform of Mobile Device Interaction (2018). INFO: Remotion is a set of hardware and software tools to replay mobile phone user interactions with a physical setup that replicates the mobile phone movement. 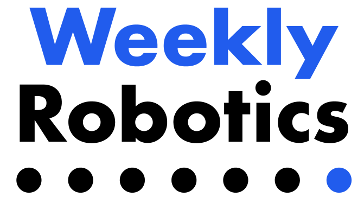 1) Torc Robotics (Blacksburg, VA, US) - Various Positions. INFO: Torc Robotics is a leader in game-changing remote-control, digital-control, and autonomous robotics technologies and systems. 2) SAM|XL (Delft, Netherlands) - Software / Automation Engineer. INFO: SAM|XL (Smart Advanced Manufacturing XL) is a collaborative research centre where technology is being developed, demonstrated, and de-risked for automated manufacture of large-size lightweight composite parts for aircraft, wind turbine blades, spacecraft and maritime applications.